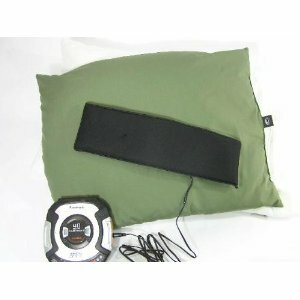 Sleepsonic Travel Speaker Pillow: not a cheap speaker by any means. But it is great for travel and business use. 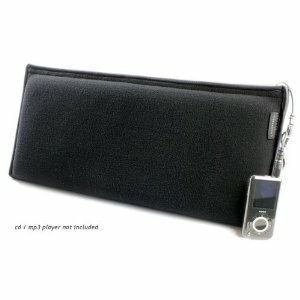 Compatible with your mp3 player and even CD players. 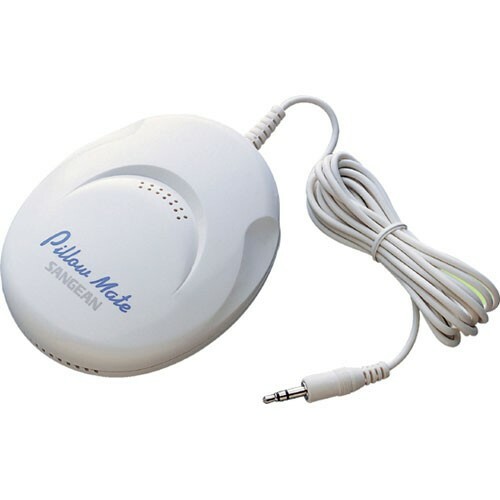 Pillowsonic Stereo Pillow Speaker: a handy speaker that you can put under your pillow to listen to your music and audio content without disturbing others. Sangean PS-100 Pillow Speaker: easily fits under your pillow. It has a 3.5 mm headphone socket that can handle your mp3 player and other audio sources. 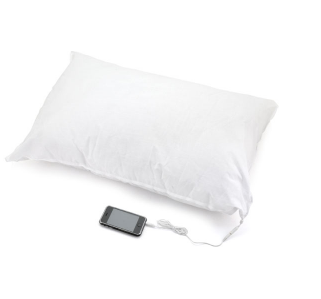 Sound ASLEEP Pillow: we have not been able to find this pillow in the U.S. But if you are living in Japan, you are going to love getting one of these. The speaker is built-in, unlike some products on this list. You will most likely have a hard time getting your hand on one of these for obvious reasons. If you can’t get enough of your iPhone and want to listen to your music at night without disturbing others, the above pillow speakers are worth checking out.